The Cerebral Palsy Society of New Zealand Incs purpose is to enhance the lives and well-being of people with Cerebral Palsy. Membership is just $10 a year (individual) or $15 a year (family membership). Three issues of the Society’s publication The Review annually to keep you up-to-date with the latest news. Members with Cerebral Palsy are eligible to apply for grants funded by the Society. The applications for grants are considered on a monthly basis by the Grants Committee. 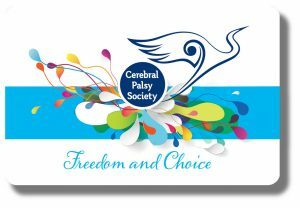 If you would like to become a member of the Cerebral Palsy Society you can complete the online application HERE or please DOWNLOAD the Membership Application Form. Fill in a Membership Application Form and post it to: Cerebral Palsy Society of New Zealand, PO Box 24759, Royal Oak, Auckland 1345, New Zealand along with the payment. Paid by direct credited to the Society’s account 12-3011-0809757-00. In the particulars please put the first and last name of the person with Cerebral Palsy. All new Membership Applicants must be approved by the CP Society board. The applicants will be advised of the outcome of their membership application following the next monthly Board meeting. You may join for up to four years in advance by paying the yearly amount multiplying by the number of years you have chosen. Memberships run until the end of June, however new membership approvals in April-June run through to the end of the following June. CLICK HERE to download the Membership Renewal Application Form below.